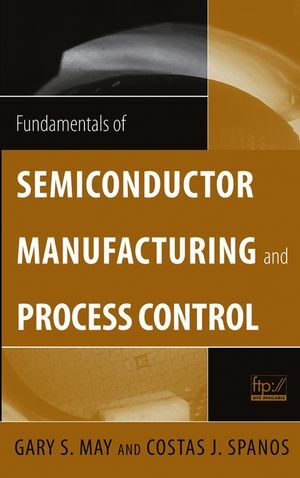 Fundamentals of Semiconductor Manufacturing and Process Control covers all issues involved in manufacturing microelectronic devices and circuits, including fabrication sequences, process control, experimental design, process modeling, yield modeling, and CIM/CAM systems. Readers are introduced to both the theory and practice of all basic manufacturing concepts. 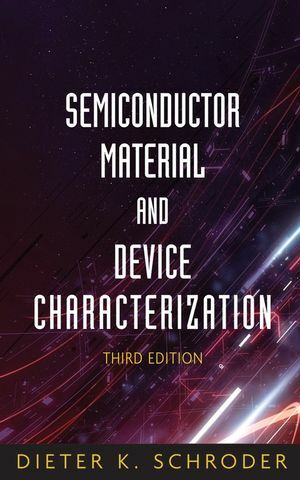 Following an overview of manufacturing and technology, the text explores process monitoring methods, including those that focus on product wafers and those that focus on the equipment used to produce wafers. Next, the text sets forth some fundamentals of statistics and yield modeling, which set the foundation for a detailed discussion of how statistical process control is used to analyze quality and improve yields. The discussion of statistical experimental design offers readers a powerful approach for systematically varying controllable process conditions and determining their impact on output parameters that measure quality. The authors introduce process modeling concepts, including several advanced process control topics such as run-by-run, supervisory control, and process and equipment diagnosis. Graduate-level students and industrial practitioners will benefit from the detailed exami?nation of how electronic materials and supplies are converted into finished integrated circuits and electronic products in a high-volume manufacturing environment. GARY S. MAY, PhD, is Professor in the School of Electrical and Computer Engineering at the Georgia Institute of Technology. Dr. May is a Fellow of the IEEE and Senior Member of the Society of Manufacturing Engineers. He has published more than 150 articles and given over 100 technical presentations in the area of IC computer-aided manufacturing. COSTAS J. SPANOS, PhD, is Professor in the Department of Electrical Engineering and Computer Sciences and the Associate Dean for Research for the College of Engineering at the University of California, Berkeley. Dr. Spanos is a Fellow of the IEEE and has published extensively in the area of semiconductor manufacturing. 1. Introduction to Semiconductor Manufacturing. 1.5. Outline for Remainder of the Book. 3.1. Process Flow and Key Measurement Points. 4.2. Sampling from a Normal Distribution. 5.1. Definitions of Yield Components. 5.3. Functional Yield Model Components. 5.7. Process Introduction and Time-to-Yield. 6.2. Patterns in Control Charts. 6.3. Control Charts for Attributes. 6.4. Control Charts for Variables. 6.6. SPC with Correlated Process Data. 9.1. Run-by-Run Control with Constant Term Adaptation. 9.2. Multivariate Control with Complete Model Adaptation. 10. Process and Equipment Diagnosis. Appendix A: Some Properties of the Error Function. Appendix B: Cumulative Standard Normal Distribution. Appendix C: Percentage Points of the χ2 Distribution. Appendix D: Percentage Points of the t Distribution. Appendix E: Percentage Points of the F Distribution. Appendix F: Factors for Constructing Variables Control Charts.